Raising milk-fed veal calves today is very different from when the industry first got its start in the United States. After World War II, the approach to milk-fed veal production was to place calves in small, individual pens, or stalls. This method was to prevent the spread of illness, and to effectively care for calves that were gathered from many dairy farms. New born calves are highly susceptible to disease and stress, and so, a main goal has always been to support the calves' well-being as they grow. Since then, much has been studied and learned regarding animal health and with that knowledge, new group housing practices have evolved. Today, we are taking the lead to do things differently. On May 9, 2007 the Board of Directors of the American Veal Association (AVA) adopted a resolution calling for all U.S. veal producers to transition to group housing methods by December 31, 2017. We are proud to report this mission has been accomplished. Veal farmers spent over $150 million to transition to new group housing systems. Group pens allow the calves to stand, stretch, lie down, groom themselves and socialize with other calves. 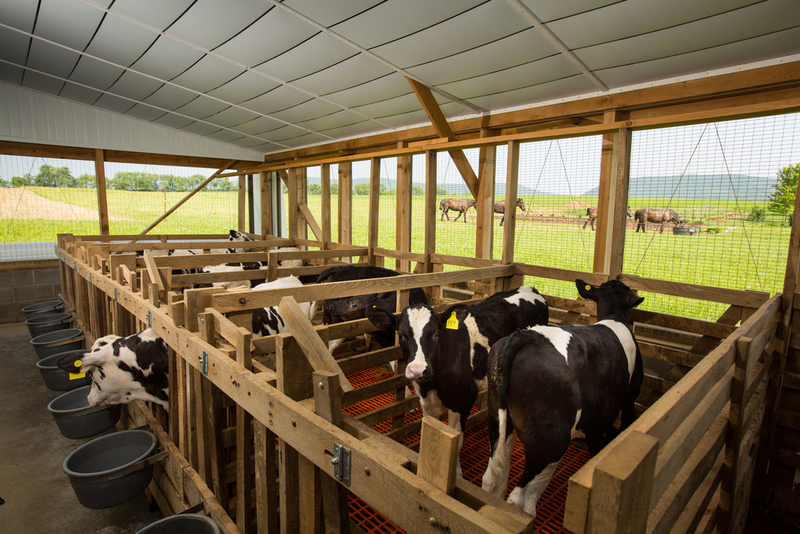 Visit this photo gallery of the new veal barns in the U.S. where you can see how calves are grouped together based on their age, size and temperament. 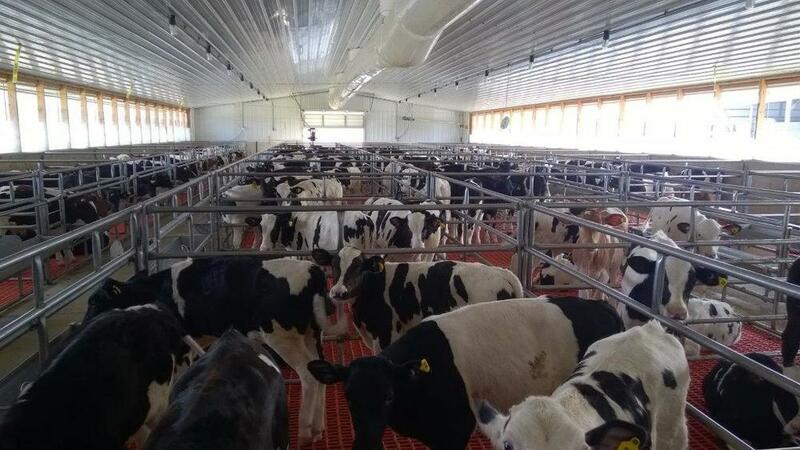 Modern veal barns have artificial lighting overhead or receive natural sunlight through windows or curtained panels. 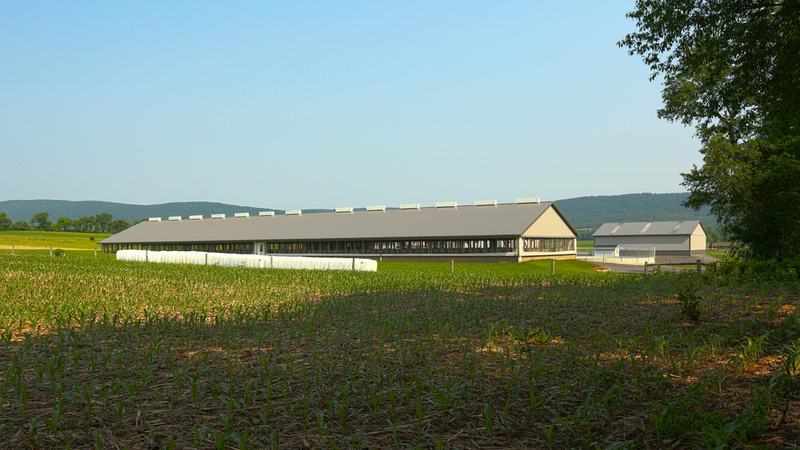 Veal barns are also heated during cold months and have year-round ventilation to provide clean, fresh air. 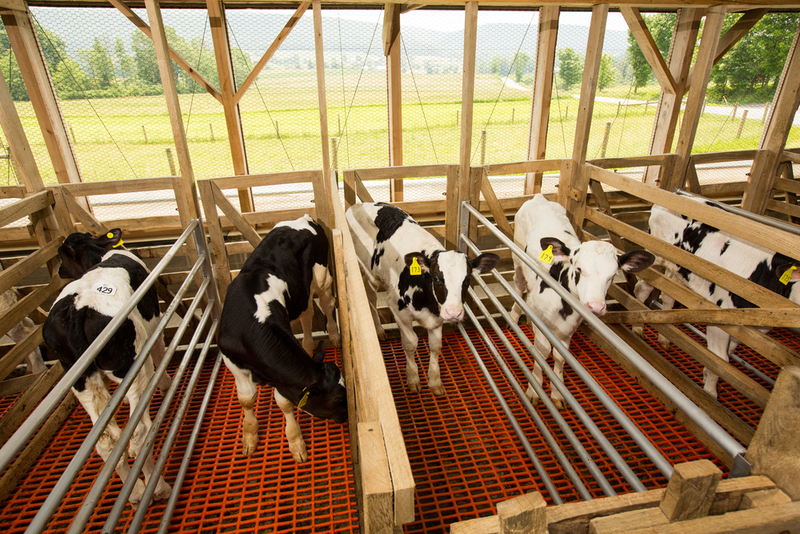 These new facilities provide an optimum environment for veal calves to be comfortable and thrive. Healthy calves are a priority at the farm. The care and handling, nutrition, and housing are all done to help calves remain healthy and grow. Veal calves have special animal health needs as young calves have not developed a strong defense system and are more prone to challenges associated with stress. Keeping calves comfortable and nourished is key to helping young calves thrive. By working with a veterinarian to create a sound herd health program in conjunction with providing proper nutrition, access to water, and a safe and comfortable environment, farmers help prevent disease and provide the best opportunity for timely diagnosis and response to any herd health challenge. Milk-fed veal calves are fed a nutritionally-balanced diet of a milk-replacer, and in most cases, they also receive grain. Milk-fed is also sometimes referred to as "special-fed" or "formula-fed." Calves raised for veal are typically dairy bull calves. They do not have their tails docked or horns removed. Milk-fed calves are raised for about 22 weeks and marketed at 500 pounds, a much older and larger animal than many perceive. Herd health plan and veterinarian-client relationship are key. Veal farmers have an ethical obligation to provide each animal with appropriate quality care through each stage of life. This is achieved by establishing on-farm programs and training that seek to maximize animal health while minimizing stress and disease. By establishing a herd health plan and working directly with a veterinarian to develop a comprehensive herd-health program, veal farmers are able to provide quality animal care, prevent disease and determine the best option for addressing any animal health concern. You can learn more directly from a veterinarian who cares for veal calves every day. 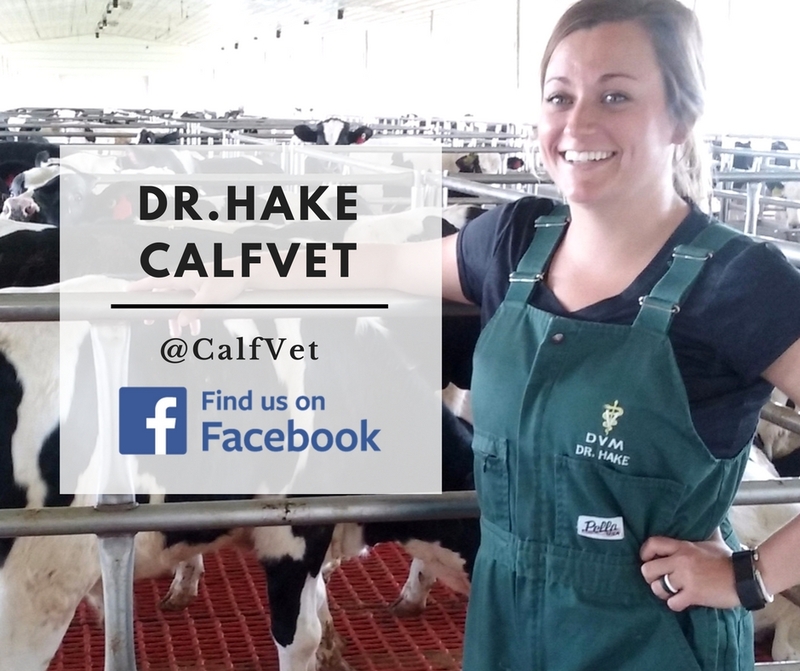 Follow Dr. Hake - Calf Vet on Facebook.